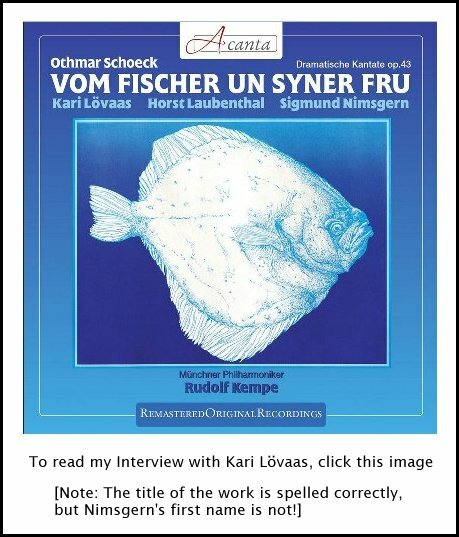 Siegmund Nimsgern Interview with Bruce Duffie . . . . . . . . . 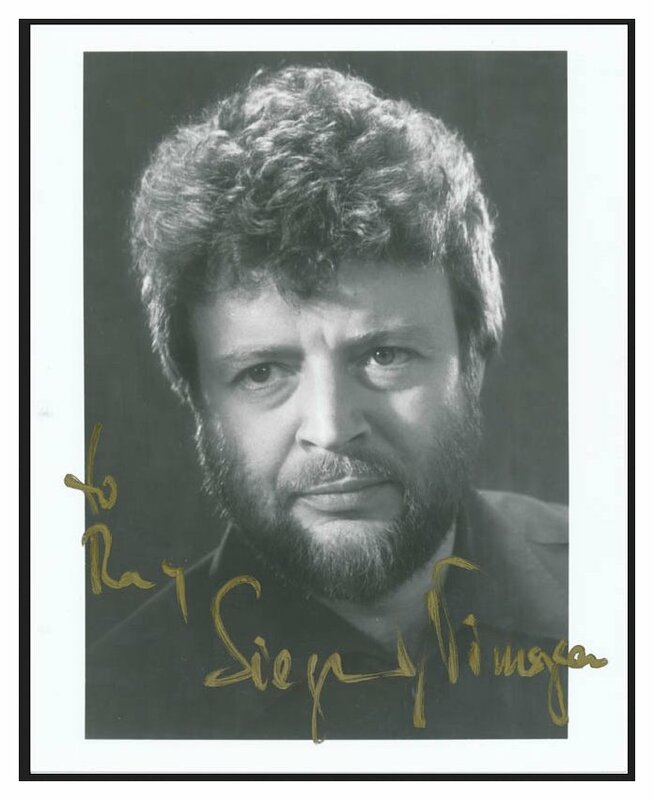 The German bass-baritone, Siegmund Nimsgern, has for many years belonged to the group of elite international singers. After his school-leaving examination Siegmund Nimsgern studied music education. Musicology, German, and philosophy. He was a student in Saarbrücken of Sibylle Fuchs, Jakob Stämpfli, and Paul Lohmann. He won four first prizes in important vocal competitions and soon thereafter became one of the most successful German lied, oratorio, and opera singers. In 1965 Siegmund Nimsgern made his debut as a concert artist. His operatic debut followed in 1967 when he appeared as Lionel in Tchaikovsky’s The Maid of Orleans in Saarbrücken, where he sang until 1971. In 1970 he made his Salzburg Festival debut. From 1971 to 1974 he was a member of the Deutsche Oper am Rhein in Düsseldorf. He made his British debut in 1972 as a soloist in La Damnation de Faust. In 1973 he made his first appearance at London’s Covent Garden as Amfortas, and he also made debuts at Milan’s La Scala and the Paris Opéra. 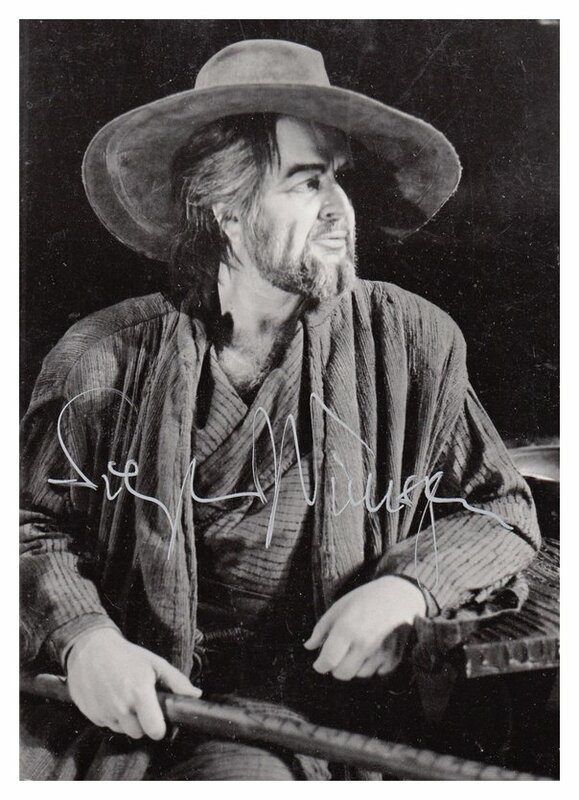 In 1974 he made his USA debut as Jokanaan at the San Francisco Opera. 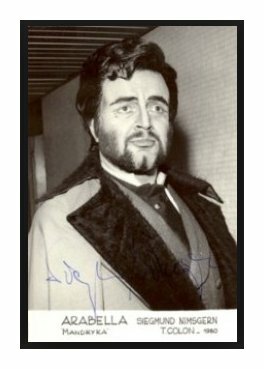 He made his Metropolitan debut in New York as Pizarro in October 1978, and returned there as Jokanaan in 1981. 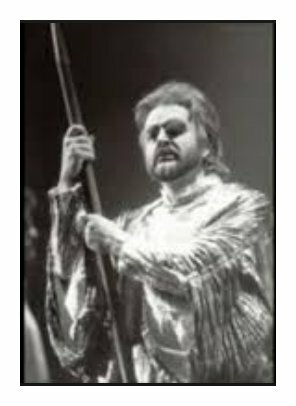 From 1983 to 1985 he appeared as Wotan at the Bayreuth Festivals. In addition to Radio and recording studios, Siegmund Nimsgern’s regular sphere of activity includes all of the major opera houses, such as La Scala (Milano), the Metropolitan Opera (New York), Covent Garden (London), Opéra de Paris, the Wiener Staatsoper, the opera houses in Chicago, San Francisco, Buenos Aires, Berlin, Hamburg, Munich, Rome (Santa Cecilia), etc., as well as the music festivals in Munich, Salzburg, Flanders, Israel, Florence, Orange, Berlin, Ansbach, and Bayreuth. Important conductors such as Claudio Abbado, Daniel Barenboim, Pierre Boulez, Riccardo Chailly, Colin Davis, Christoph von Dohnányi, Carlo Maria Giulini, Herbert von Karajan, Carlos Kleiber, Erich Leinsdorf, Jean Martinon, Zubin Mehta, Riccardo Muti, Seiji Ozawa, Wolfgang Sawallisch, Georg Solti, Horst Stein, and many others, have worked and continue to work together with Siegmund Nimsgern. 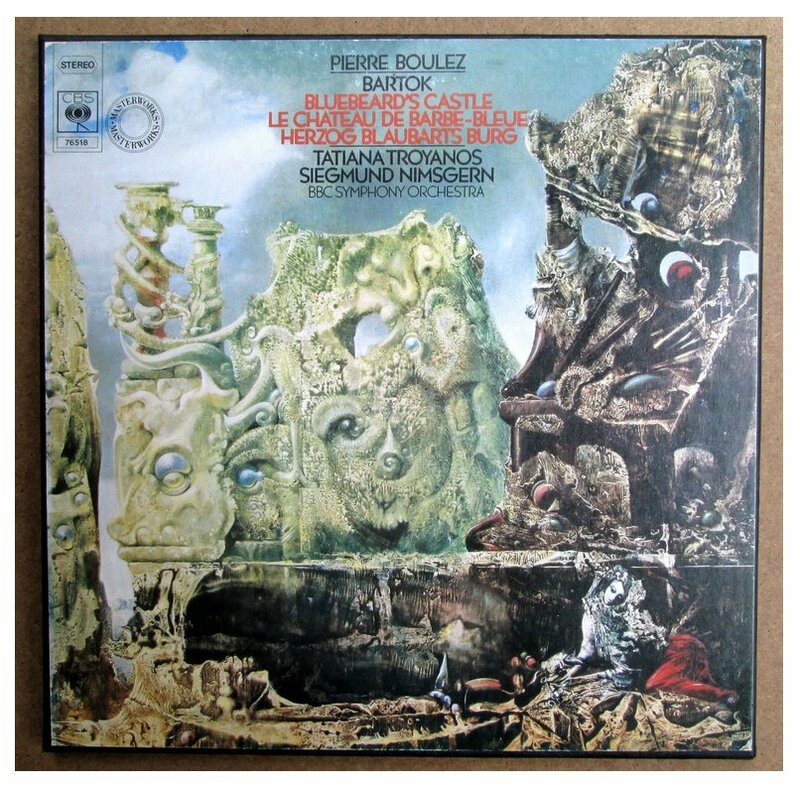 LP and CD records as well as numerous ‘private recordings’ give proof of his vocal and interpretations skills. Among Siegmund Nimsgern’s other roles were Telramund, Alberich, Günther, the Dutchman, Macbeth, Iago, and Luna. As Lieder (Schubert, Schumann, Johannes Brahms, Wolf, etc.) and oratorio singer (J.S. Bach, George Frideric Handel, L.v. Beethoven, Felix Mendelssohn, etc. ), but above all as character and ‘Helden’ baritone in the opera (Mozart, L.v. Beethoven, Verdi, Georges Bizet, Wagner, Strauss, Puccini, Alban Berg, George Enescu, and many others), Siegmund Nimsgern belongs without question to the most prominent vocal and stage personalities in the contemporary music scene. 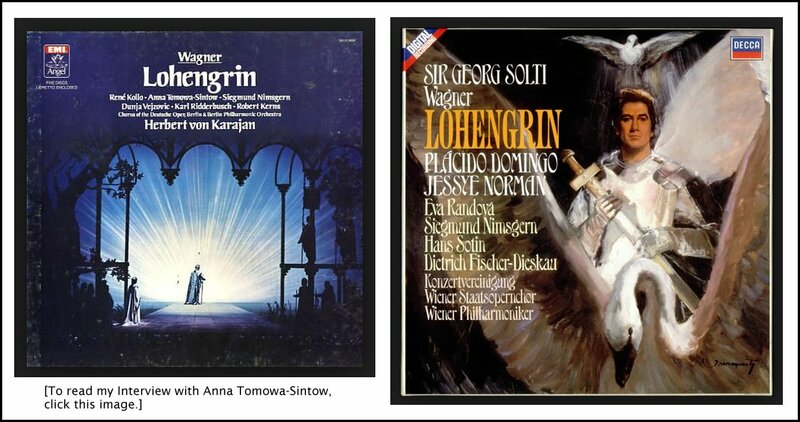 On this webpage is a conversation I had with baritone Siegmund Nimsgern in November of 1982. Much of it was published in Wagner News the following July, just as he was about to sing Wotan at Bayreuth. Parts which were left out at that time have been inserted on this webpage, and photos, links and the Chicago performances chart have also been added. One of the busiest and most versatile singers around today is about to assay one of the largest and most complex of operatic characters. Baritone Siegmund Nimsgern, who can be found in almost all of the major opera houses and festivals of the world, is going to undertake the role of Wotan in the new production of the Ring at Bayreuth, conducted by Sir Georg Solti and directed by Sir Peter Hall. Coming on the heels of the controversial production in 1976-80 by Patrice Chereau, (which was recently televised in Europe, and in the US on PBS), it will be interesting to see and hear just what this new team does with Wagner’s magnum opus. Audiences in Chicago and New York had a “preview” when the Chicago Symphony, Solti, and several of the principals presented a concert reading of Das Rheingold. A witty and intelligent man, Nimsgern was most gracious to take time from his very busy schedule last fall between performances of Kurwenal and Scarpia for a conversation. His mind is constantly probing every nuance of his role, yet he seems even a bit underwhelmed by his own importance in the operatic arena. Here is much of what was said on that very interesting and enjoyable afternoon . . . . ..
Bruce Duffie: You have a very large repertoire and it seems like you sing all kinds of things, but you make a specialty of the heldenbariton parts of Wagner. Are they special for you, or are they just more roles that you sing? Siegmund Nimsgern: It’s my voice. I think I am born for this repertoire. My second part in opera was the Rheingold Wotan. The first was Lionel in Jeanne D’Arc by Tchaikowsky — one of the few lovers I have sung. Then it started with all the bad guys and fathers. BD: Yes, the baritone usually is the bad guy. SN: The bad guy, but the best roles. Verdi wrote better roles for the baritone than for the tenor. Nabucco, Rigoletto, Iago, Luna, but the most beautiful is Simon Boccanegra. BD: Have you done the original version of that or just the revision? SN: No, nobody does the original. Twenty years later he had his reasons to re-do it. It’s a marvelous opera and I like it very much. I saw the production here in Chicago with Milnes and it was nice. BD: Let me ask about productions. Stage directors seem to be taking off into many different directions. Do you approve of all that’s going on? SN: No, I don’t approve, but here in the United States, it’s really very old-fashioned theater. Here and in Italy they seem to prefer good singers, nice costumes, and nothing else. In Germany and middle Europe, it’s quite the opposite. The producers come from the theaters and don’t know the operas and are not interested in music or singers. They are not concerned with the differences between singers and actors. They don’t realize that singing is much more difficult and demanding than speaking because of the timing. You cannot improvise and still stay with the music. The most stupid member of the public will hear that there is something wrong. BD: Do you rely on the prompter at all? SN: Singers who use prompters don’t really have the role ready. They pay more attention to the person in the box than to the conductor or the colleagues! [Laughs] No, I say that in jest because sometimes you really need the prompter. Producers don’t like them, but sometimes they are necessary. Occasionally they are behind the stage rather than in the box at the front. SN: I am a little bit disturbed by it, but normally you don’t know it and you don’t see it. We have one her for the Tristan. BD: Yes. Another singer told me it was like singing into a paper bag. SN: No, it’s not a problem at all. There are different qualities of scrims and it must be very special. Some are very thin and just affect the lighting, but the voice must be able to come through. There was one in Italy that was like silk so it was too solid and that was difficult to work with. In Wagner productions there normally is a scrim. Since Wieland Wagner and his revolutionary productions beginning in 1951, all Wagner productions need the special light effects because nothing really happens on stage. BD: Should there be more movement in the Wagner productions? SN: It depends on what you are doing. 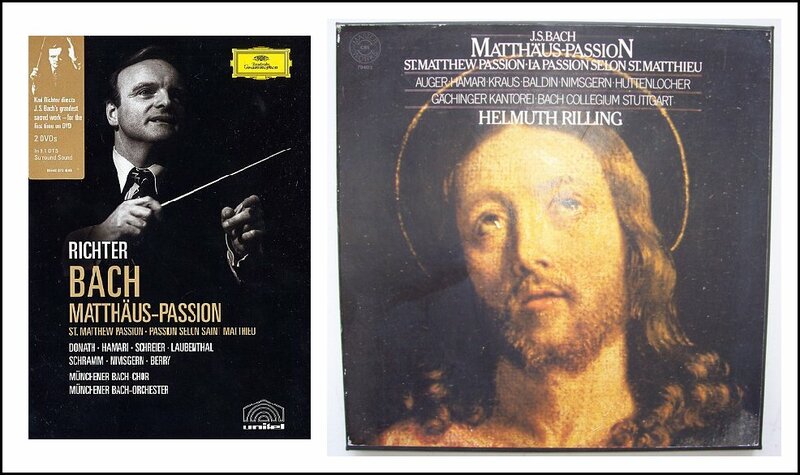 In Holländer I would say yes, but in others like Parsifal, or The Ring or Tristan, what can you do? BD: You did quite a lot of moving in the last act of this Tristan here in Chicago. SN: Yes, but he (Tristan) is fixed and cannot move because the character is sick, so I have to play his feelings also. If the Kurwenal stays still, the whole act is nothing. In the third act, Kurwenal really begins to understand Tristan, and he loves Isolde and feels Tristan’s agony. He becomes Tristan. BD: Is he an alter-ego? SN: Much more than that in the third act. Earlier, he was a little bit stupid. In the first act he understands nothing. He sees what happens at the end of the first act and understands a little, and his hate for Isolde pales as he sees the change in her and in Tristan. At the end of the second act he knows everything. Then in the third act he becomes even more close. BD: Does Kurwenal think he can save Tristan? SN: I think so. The whole act makes no sense unless he feels this. He is waiting for Isolde like Tristan, and the end is so tragic. Kurwenal brings in Isolde and Tristan dies. Then Kurwenal once again is nothing. BD: He’s lost without Tristan. SN: Yes. He’s the same Kurwenal as in the first act — like a wild dog, a bloodhound. In the whole last scene after the death of Tristan, Kurwenal becomes crazy and sees only blood. He kills Melot and it’s clear that he, Kurwenal, must die. Like Tristan in the second act, Kurwenal goes to death with his eyes open. BD: I’ve often wondered why Melot only wounds Tristan at the end of the second act. BD: Then why doesn’t Kurwenal immediately attack Melot? SN: Tristan’s wound is much more important at that moment. Nobody really understands at that moment why Tristan has done this. Just before this, Tristan has asked Isolde if she would follow him to this land of darkness, and she says yes. BD: So he is not talking about Brittany; he is talking about death. SN: Sure. But it’s not until Tristan says the same words at the beginning of the third act that Kurwenal understands. It’s very nihilistic; nothing religious because love, real love must be death because love for eternity is impossible. So it has to go into the void. BD: I’ve often wondered... When Kurwenal takes Tristan to Brittany between acts two and three, why doesn’t Isolde go with them? SN: This is a good question. [Pauses to think a moment] There are many things which are not accounted for in the opera. The whole thing is a more mental drama. BD: Maybe it has to do with one or another of the various legends that Wagner combined to form his own. SN: Yes, there are many things put together. BD: Do you enjoy the part of Kurwenal? SN: For most of my colleagues, Kurwenal is nothing, but I like it very much because I can show the progress of the character, the development from a dog to a human being. There is not much to sing and the third act is very heavy, but I think it’s very interesting. Naturally, Amfortas or Wotan or Hans Sachs are much more important, but I consider myself more an actor than just a stupid singer who has a voice and produces much sound. So it’s a very interesting thing to show this man who is not very interesting to have this great inner development. BD: It’s as though you’ve found the soul of Kurwenal and are bringing it out. SN: [Laughs] Maybe it is my own soul in this part. With every part that I sing, I identify with him during the performances. BD: So you become each character? SN: I hope so. If not, it’s not interesting for me. Now I am doing Scarpia and people say to me they have never seen such a Scarpia. It was my first, you know, but after the performance it’s done and you go away. It’s impossible to go with these parts in your life. BD: So you leave them on the stage? SN: Maybe the whole thing is in me! BD: Do you start becoming the character as you apply the makeup before the performance? SN: It’s all a mental thing. When I start preparing this part for Chicago, I had no orchestral rehearsals. I worked two days with Gobbi and that’s it. I said to Ardis [Krainik, General Manager of Lyric Opera] that I was three months pregnant with this part! Maybe you don’t use this word for a mental thing, but I was pregnant in my mind with this part, and now that I’ve done it, the child is born. BD: How long does it take you study a part? SN: It depends on how intensively you work. I studied Scarpia for two weeks during the summer and then I worked on it for three or four days here with nothing else. The danger for me is that I learn very fast, but it goes away from my memory equally fast. SN: ...and I hope to sing many more in the future. I have ready maybe 10 or 12 roles that I can sing now. BD: Are there many others you could call back in just a few days? SN: Yes. I think that’s the most beautiful thing. It’s very heavy work, and sometimes I get bogged down and can’t see how I can sing the role. It’s like a pregnancy, and like a young mother, she cannot give up! BD: Are there any roles you have sung that you would turn down now if they are offered again? SN: No. I think all of the roles have been good. BD: How do you decide which roles you will accept? SN: In Verdi there are only a couple of roles that are not interesting for me — Germont in Traviata, and Don Carlo de Vargas in Forza del Destino. I like more the characters and heroes. BD: Would you rather kill or be killed? SN: I’m usually killed, but Scarpia is killed but kills them all. Iago, nobody knows. BD: What does Iago do in the unwritten fifth act? SN: I think he continues. He’s the archetype of evil. It is always present. BD: Iago is not the devil, is he? SN: No, he’s not the devil, but he is one of the worst characters, and it’s very much fun for me to play it. I think a character that is very far from my own kind of being is the most beautiful thing for me to play. So maybe that’s why I’m so good as Pizzaro, Iago, Telramund... Scarpia is one of the worst. He is very modern, a type you would not recognize on the street. He is a mixture of Pizzaro, Iago, and a bit of Don Giovanni. [Both laugh] He has this behavior to play a little bit with a woman and with death. BD: So Tosca is not his first conquest? BD: Have you sung Don Giovanni? BD: That’s a completely different style. Do you enjoy singing Mozart? SN: I think it’s the best for the voice — clean singing and not shouting. SN: Oh yes. I don’t shout as often as it is written in the score, and this is the danger in this kind of music; also the same for Tosca. It all depends on who is the rest of the cast and conductor, but I think it’s better to stay singing in what is written and not shout too often. But sometimes the pitches are not what Puccini wanted. In this whole period, voices are asked to do rougher things. I have done Oedipus by Enesco, and it’s a terrible voice-killer if you are not careful. But I think it’s a good piece. It’s a long role — he has more to sing than Hans Sachs! He is onstage the whole time and has a development like Simon Boccanegra. He starts the opera at 20 years old and ends when he is 60. It’s an incredible part not only for the singer but also for the make-up man. When you sing it, you have to be careful to not give too much in the second act or there will be nothing left for the third and fourth acts. BD: So in all of these roles you have to pace yourself carefully? SN: Yes, and I’m a type who gives everything from the beginning. Sometimes I feel it the next morning. There is nothing left. BD: Do you make your performance schedule to allow enough rest? SN: Now I do. Now I am more careful, but ten years ago I took everything and sang them all one right after the other. I did Rodrigo, Tales of Hoffmann and Simon Boccanegra one after another and then Escamillo. Now I cannot do that. BD: [With mock-horror] I’m surprised you’re still singing! SN: [Quietly] Well, when you’re young you can do many more things vocally. SN: When you start a career it’s quite impossible. When you are 20 or 25 you think you must catch everything. It’s a wrong thinking, but who can tell you? You do it because you feel it’s important for your career. When you are 40, you can look back and tell that half of all of it was a waste of time. SN: Well, unimportant for your future career and for your own development. BD: I want to ask you about Le Roi Arthus. SN: [Surprised] You know this opera??? BD: I have heard a tape of the broadcast. A friend of mine who is a French scholar got it and said he had been waiting all his life to hear the work. SN: I love the opera. I think it’s fantastic. The part of Arthur is difficult — high and low, very helden-like — though it is not really big, maybe half an hour to sing the part. It has a wonderful opening scene with a high G.
BD: Did you do it on stage or in concert? SN: In concert, but I am wondering why they don’t do it in Paris. There was one performance only at the premiere in 1903, and since then nothing more. [Subsequent to this interview, it has been done a few times and recorded commercially.] I told the managers of the Paris Opera that they should do it. It’s quite close to the Tristan legend – perhaps they should do Tristan and Roi Arthus in the same weeks. The music is very much in that vein, and the plots are quite similar. Roi Arthus is like King Marke. I like Chausson very much, but I think this is his masterpiece. We only know the Poème, which is nice, but Roi Arthus is really great. I would like to do it onstage if we could persuade a producer like Ponnelle or Zeffirelli who really know their craft. BD: If you were offered it with a poor director, would you turn it down? SN: Not in this case. I would agree because I would like to do it and show it to the public and critics. I was not completely happy with the performance we gave in Paris last May. You need a very good tenor in the style of young Gedda, and who sings like that now? [The role of Lancelot was sung at the premiere by Charles Dalmorès.] You also need a fine soprano, but I think the broadcast tape is only a small help in imagining how good the piece really is. The orchestra liked it very much, and of course nobody knew it at all. The French — both critics and public — don’t seem enchanted with a lot of their own music. BD: You did this work, and you will be back in for the Rheingold with Solti and the Chicago Symphony. Is doing opera in concert just a compromise? SN: It’s a compromise for sure, but it’s better than nothing. And some pieces — like the Chausson — are never done onstage, so a concert is not bad. I have done many things in Italy for the radio, RAI. 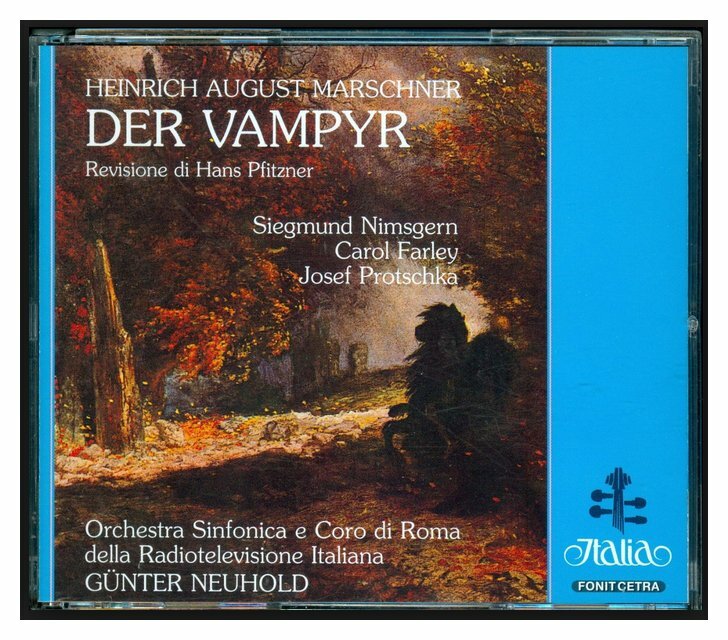 Of about 20 different times, maybe 10 are never done onstage... Dr. Faust of Busoni, Vampyr of Marschner, Feuersnot of Strauss, but that one was done in Munich in a production by Gian Carlo Del Monico, the son of Mario the tenor. The baritone is a nice part, and it is one hour of singing — half of it in the basket twenty feet high! The last scene is on the balcony, which is also high. At first I was a little afraid, a bit anxious, but now it is OK. Two days after leaving here I go back and sing it again. Strauss wrote it for a high baritone, but it must be a dark baritone because it is a Wagner-sized orchestra. Mandryka is a marvelous part and is the biggest of the Strauss baritones. The whole opera is not so marvelous — I prefer Frau ohne Schatten. Barak is one of the few roles in my repertoire who are really good guys. He is a little bit stupid, as always the good guys are, but I like it. There is no pushing and no menacing. There is only one minute when he tries to kill his wife, but this comes from his good character. He really loves her and when he thinks she has betrayed him, he gets furious. BD: Can he be played too good? SN: Yes, but I can’t. I am not simple enough. Maybe I cannot be a really good Barak because I’m too intelligent. [Both laugh] I am always doing little things that do not fit the character. I also do Wozzeck, and to sing the role is OK, but to play Wozzeck right you need a singer who is not too intelligent. He is not a dummy, but he’s not quick. He must be simple in his soul and heart, and not be at all intellectual. When I do it, I must concentrate very hard to be so simple. My wife says that when I do a part like that, I sing it well, but I do too much for the character. And you know there’s the same danger with Kurwenal. My wife says I play him too aware of Tristan and all the other goings-on. So that’s always my danger. BD: So Iago is the opposite of all this? SN: Iago fits me very well. [Both laugh] When I sang my first Iago in Montreal with Vickers, one critic said it was not a Verdi Iago but a Shakesperaian Iago, and this pleased me very much. I was not just a singer doing lines I had learned, but I was criticized as an actor, and this is what I want. BD: Is Wotan that intellectual? SN: I think yes. He does stupid things, but he thinks they will work. That happens very often in real life — intelligent people do very stupid things. BD: Tell me a bit about Wotan. SN: I had sung the Rheingold Wotan very early in my career, but it was only a couple years ago that I did my first Walküre Wotan in the Ranconi/Mehta production in Florence. At that point I had the feeling that it was to be the best part of my life. It gave me immense satisfaction. When I was maybe 15, my father, who had heard Schorr and Hotter in the part, told me he wished I would sing the Abscheid just once, but I never thought at that time that I would ever do it. When I finally did sing the role my father was dead, but I thought of him as I looked into Gwyneth Jones’s beautiful eyes. 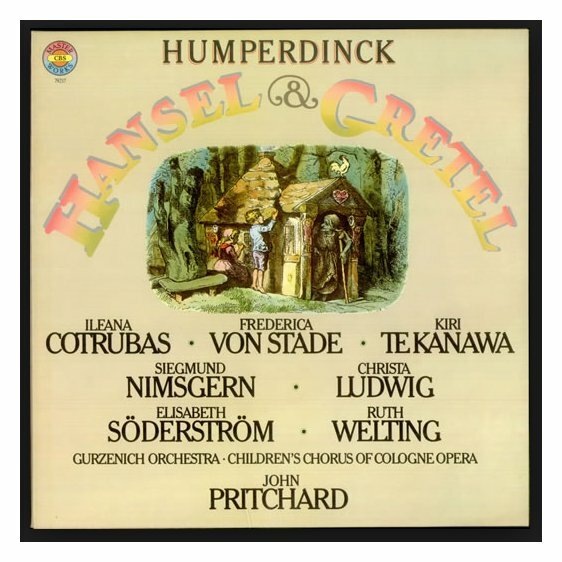 I look forward to my first Siegfried Wanderer. I think it will be the fulfilling of all that I have to give to the world. But after the Bayreuth performances, theaters will only ask me for the Wotan parts, and I will have to insist on doing other things. I hope to eventually sing Hans Sachs, and perhaps Falstaff once. BD: When Wotan conceives Siegmund, does he think Siegmund will save the gods, or does he know it will take another generation, a Siegfried? SN: I don’t know. I think Wotan changes his mind and his character. In the Rheingold, he’s really a dummy. Alberich is much more intelligent, and it’s the better part in that opera. BD: That’s right, you’ve done him also! SN: I think I’m the only singer in the world who has done these two roles — at least on record. We’re in the midst of the Dresden cycle conducted by Janowski where I am Alberich, and in 1984 we will start the Bayreuth one with Solti. BD: Will that new one be recorded onstage or in the studio? SN: The performances it will be recorded. The techniques are so good now that they can record during performances, and I think we singers give much better performances onstage than in the studio. BD: Do you miss Alberich now that you are Wotan? SN: No. After so many Telramunds, you have to sing Alberich. It’s a straight line. Alberich is more difficult to sing than Wotan. It’s higher and it’s more shouty. It’s not supposed to be shouty, but many singers at the end of their careers try to sing Alberich because the managements say it doesn’t require a nice voice. So they have to scream to get the high tessitura. There is a danger, but if the voice can do it, all right. If the voice lacks what is necessary, you shouldn’t do it. When I was 28, they said if I kept singing Telramund I would be finished in two or three years, but here I am today. For me they are like a sports challenge, and so I must keep always fit to sing them. But about Alberich, it’s so strong in Rheingold, but in Siegfried there are just the two short scenes, and in Götterdämmerung only the one scene with Hagen. So it’s hard to develop the character in the later two operas of the Ring. But I like doing the black and white characters. BD: In the Chereau production, weren’t Alberich and Wotan made up similarly? SN: Yes, but I think that was overdone to have them in the same costumes. Our new Ring will be filmed in ’84 and ’85. BD: Not in ’83? Does it take a year to get it really settled in? SN: I think yes. It’s four operas, you know, but I’m sure it will work. 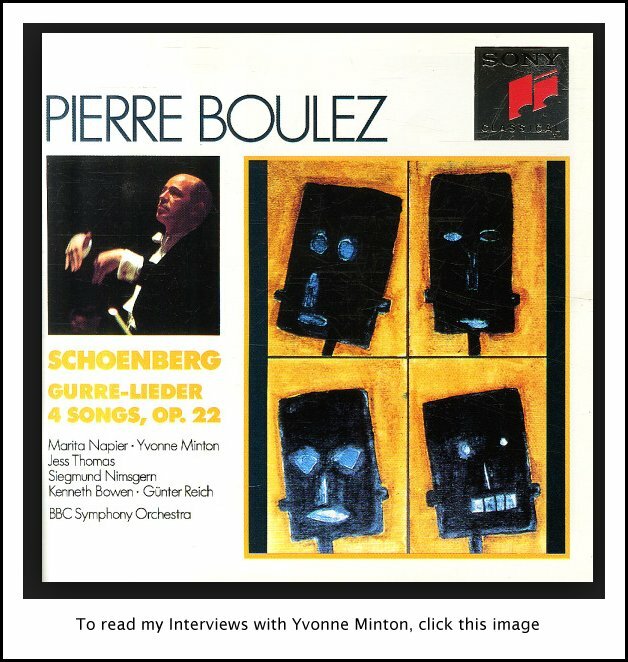 BD: Are you looking forward to working with Solti? SN: Yes, we’re the same temperament — fast and with much impact — and I am looking forward to the production of Sir Peter Hall. What can he do after Cheareau? BD: I’ve been told it will be a bit more traditional. SN: It must be. I hope it will be a little more, shall we say, conventional. I didn’t care really for the Chereau Ring. It was a mixture of Baroque machines and French Cabaret Theater and Halloween. Some things were great, but it was not unified. It was like a puzzle for me. BD: Is it wrong to sing three Wotans and also Gunther in the same cycle? SN: I would say yes. It makes no sense because you need a different type. For the public, it disturbs the view a little bit. BD: Should a cycle have different tenors for Siegmund and Siegfried? SN: Yes, but the same tenor for the two Siegfrieds. I think there should be a different singer for each part. BD: How weak is Gunther? SN: This is another part I don’t like as a person, but from the point of view of the actor it’s one of the most interesting parts in the whole Ring. The singer hasn’t much to do, but as an actor you can show many things. He’s an unsympathetic type. I did it last in the Götz Friedrich production at Covent Garden. BD: Sir Colin Davis conducted? SN: Yes, very slow. 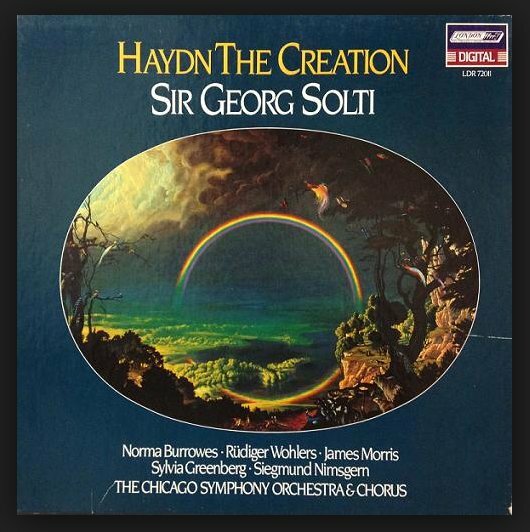 This is why I am looking forward to Solti because he won’t be so slow. But this Gunther at Covent Garden was a half woman with the rings and manners, and dressed like Gutrune. BD: Did you play him effeminate? SN: Yes. I hated it! He was powdered and full of perfume and he was made up with his mouth red like a transvestite. He had no hair. He and Hagen looked like Kojack brothers! BD: Were Gunther and Hagen homosexual together? SN: No, but Gunther and Gutrune were nearly incestuous. The scene in the Gibichung Hall started with a kiss between them. So they really didn’t want different partners at all. Strange, but I don’t think wrong. BD: Was the producer drawing a parallel between Siegmund/Sieglinde and Gunther/Gutrune? SN: I don’t know. Perhaps. I didn’t see the Walküre. But I was glad when it was over. SN: I think that Mozart and Verdi should be done in translation in the smaller houses, but not in the big ones. BD: Would you ever learn Wotan in English? SN: No, but I have sung Don Giovanni in German. Great houses — including, of course, Chicago — should only do things in the original language. Otherwise you don’t get the great singers. Who can prepare a role in many different languages? But for the public, they should be given a chance to hear things in their own language. But this is a problem always, the languages. BD: Is opera art, or is opera entertainment? SN: Entertainment should be art. Think about Tristan. Is this entertainment? BD: I find it enriching and fulfilling. SN: I do as well. BD: Tell me about the Flying Dutchman. BD: Do you prefer it in one act or three? SN: The first version is in one and the second version is in three. BD: I was wondering if the lack of rest would affect you. SN: It doesn’t really matter. It’s a great part. BD: Would he and Senta have been happy together? SN: No. He is not made for marriage. He’s not really able to be happy in any situation. He says in his first monologue that he waits for death. Tristan is the same, and also Amfortas as well as Telramund. All Wagner is that way. BD: Is Telramund a puppet? SN: Yes, but he thinks that Ortrud is his puppet also. He’s not really as weak as he is usually played. BD: Ortrud is stronger than he is. SN: Sure, but he is the only open and normal person in the whole piece. He believes what he says and believes he is right. Ortrud knows she is lying. Lohengrin is also a strange person. BD: Is the Dutchman the same kind of an illusion/person? SN: I think so. The most suspicious being in Lohengrin is Lohengrin himself. He’s neither fish nor flesh, so it must come that Elsa asks him. BD: Would they have been happy if she had not asked him the fatal question? BD: Is anybody every happy? SN: No. This is the point — only the nothingness. BD: Have you done Klingsor? SN: On record, but not onstage. 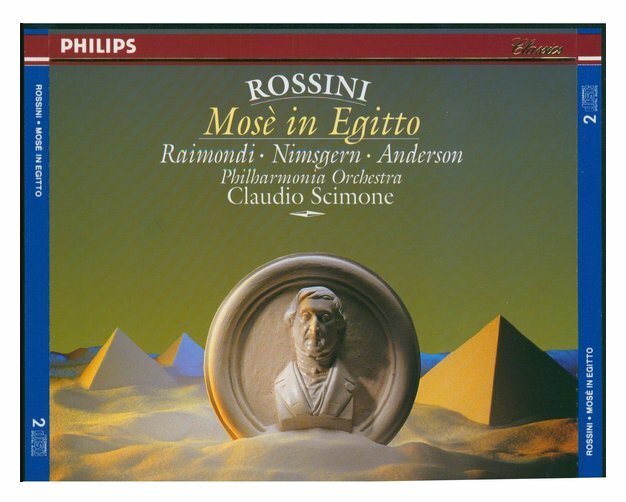 BD: Would you ever do Amfortas and Klingsor in the same performance? SN: I would like to. It was done once – at the Met. Uhde sang both because another singer was ill. It makes the same sense as doing Venus and Elisabeth — the housewife and the whore together. Husbands would like it, but in Tannhäuser, Elisabeth and Venus are really two different beings. Every man would like to be once with such a woman as Venus, but not for life. But Klingsor and Amfortas are very close — like brothers. Singing Klingsor is really nothing. Just stand and sing, and at the end point. But to play both characters could be very interesting. I don’t think it’s ever been purposely done. And you must remember that most men are not willing to do both parts in one evening. Amfortas is very hard and Klingsor is much darker and more dramatic, so the parts require different kinds of singing. I would like to do it once to try it and see how it works, but I don’t think it’s a solution. If there was just one change maybe it would be better, but you have to do one, then the other, then back to the first again. And you change not only the voice, but also the whole make up and everything. But the four villains in Hoffmann are worse! There you have to change for each and back again so it’s five changes. SN: No, it’s fantastic and I like it very much. The hardest thing is standing still while they work on you changing costume and make-up. BD: It seems like you enjoy the roles where there is more to do, rather than just a beautiful singing part. SN: Maybe that’s the explanation. I like to do acting things onstage — getting into a character and staying in that character. BD: Thank you for being more than just a singer. which include some of my other interview guests . . .
To read my Interview with Helen Donath, click HERE. To read my Interveiew with Walter Berry, click HERE. To read my Interview with Arleen Auger, click HERE. To read my Interview with Helmuth Rilling, click HERE. To read my Interviewe with Kiri te Kanawa, click HERE. To read my Interview with Ruth Welting, click HERE. 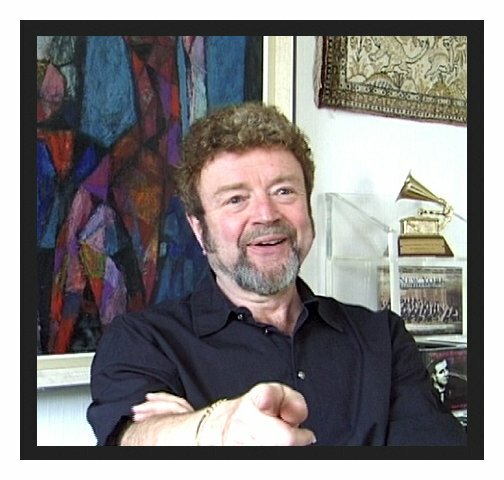 To read m Interviews with John Pritchard, click HERE. To read my Interview with Ruggero Raimond, click HERE. To read my Interview with June Anderson, click HERE. This conversation was recorded in his apartment in Chicago on November 8, 1982. A transcription was made and part of it appeared in Opera Scene Magazine in April, 1983; the Wagner sections were published in Wagner News in July of that same year. Portions were broadcast on WNIB in 1988, 1990, 1995, 1997, and 2000. The transcription was re-edited and posted on this website very early in 2016.